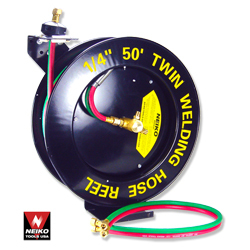 This twin line oxygen/acetylene retractable hose reel comes from Neiko Tools USA, the same manufacturer we get our air hose reels from. 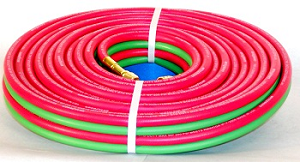 It is top of the line with all metal construction and is perfect for mounting on your floor, wall or ceiling……..This is our part number 40273A. List price is only $184.69!